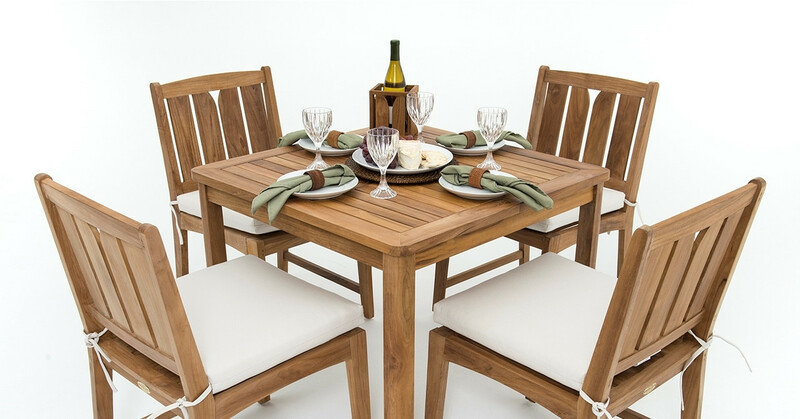 Low price commercial teak bistro/cafe dining sets. Exclusive only to SoCal region. Shipping is NOT INCLUDED at this special low price. The intent of this low price is to reach out to commercial restaurant users buying multiple sets. We may reduce or eliminate actual shipping fees based on quantity ordered. When we deliver this to you we will pre-assemble and remove all cardboard and crates. This is "WHITE GLOVE DELIVERY". (4 seat) KONA TEAK BISTRO SETS FOR COMMERCIAL RESTAURANTS - Liquidation Sale - (4) set min.